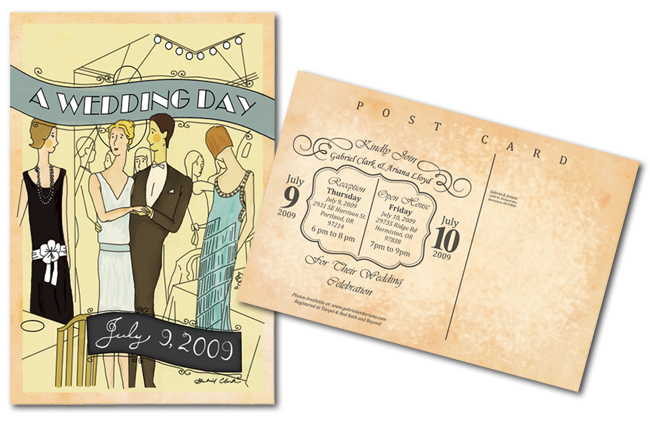 We designed some postcard style invitations for Gabriel and Ariana’s wedding. They wanted a 1920’s stylized illustration that resembled them. This was a great solution to save them money on both printing and postage.